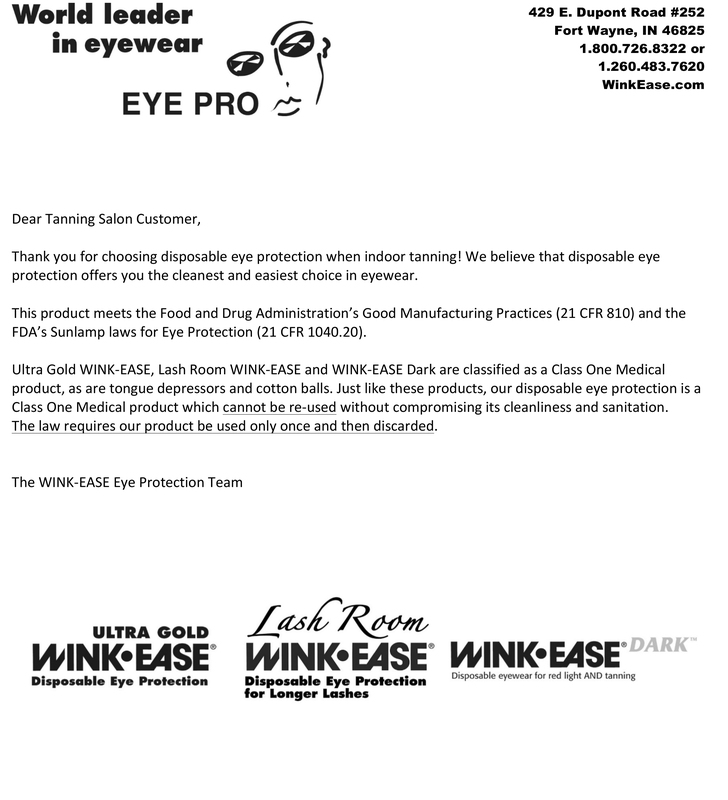 For Salon Owners | Eye Pro, Inc.
June 2017 – EYE PRO, Inc., world leader in disposable eye protection for indoor tanning and makers of Ultra Gold WINK-EASE, Lash Room WINK-EASE and WINK-EASE Dark, is all about providing fun and easy eyewear information to you AND your tanners! 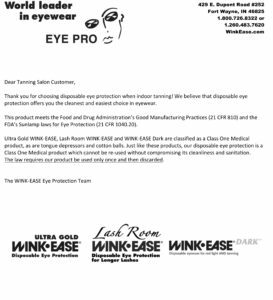 “Salon owners tell us all the time they have tanners who don’t believe in eye protection or feel they already ‘know it all’. 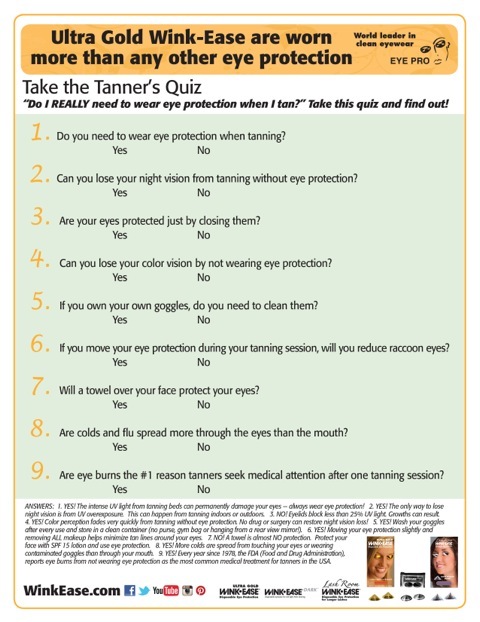 That is why we offer salons our ‘Tanners Quiz’,” explained Brenda Fishbaugh, EYE PRO president. 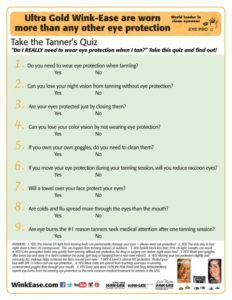 “Our ‘Tanner’s Quiz’ is a fun tool to use to ask your tanners a few questions or have them take the quick quiz to see what they really know,” Fishbaugh continued. 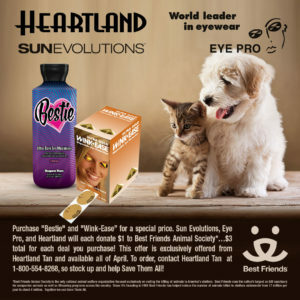 “We are constantly looking for fun and unique ways to support the salons and educate the tanners and staff alike on the importance of eye protection,” said Jackie DeWald, Office Manager. “A salon owner told us she covered up the answers to our quick Yes/No 10 question quiz and made copies for all of her staff. 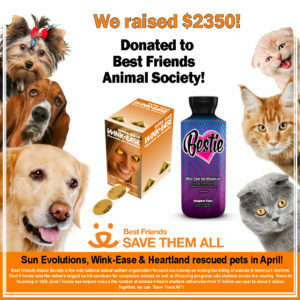 She offered first pick of shifts to the employee that got the best score. This really made her staff interested in learning the answers and helped show her staff why they needed to wear their own eye protection,” concluded DeWald.Some salons offer a free lotion packet or an extra hour off to the employee that does the best to get a little competition going. 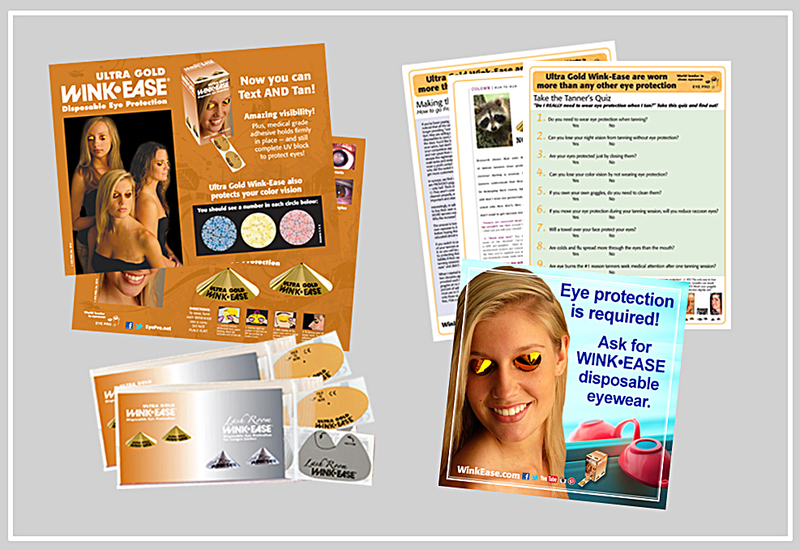 To receive the EYE PRO “Tanners Quiz”, email WinkEase@WinkEase.com and salons will receive a download link for the EYE PRO website. 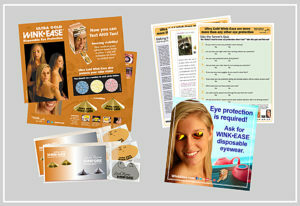 The quiz can be printed for the salon to have handy when dealing with customers that may be challenging when it comes to eye protection. 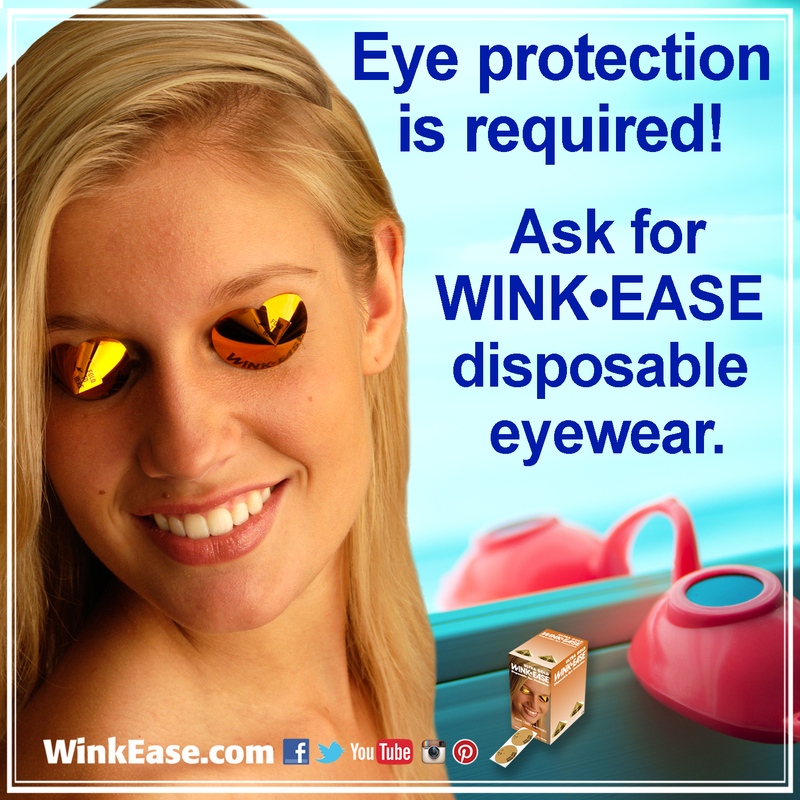 Follow and “like” WINK-EASE on Facebook, Twitter, You Tube, Instagram and Pinterest to learn about educational information, special salon offers and promotions. 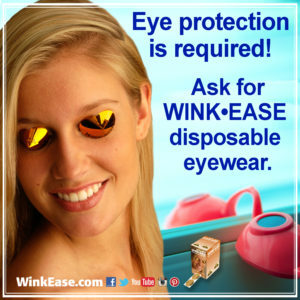 Posted in For Salon Owners, Uncategorized | Comments Off on Wink-Ease Offers FREE Tanner’s Quiz to Help Educate Your Staff and Tanners!